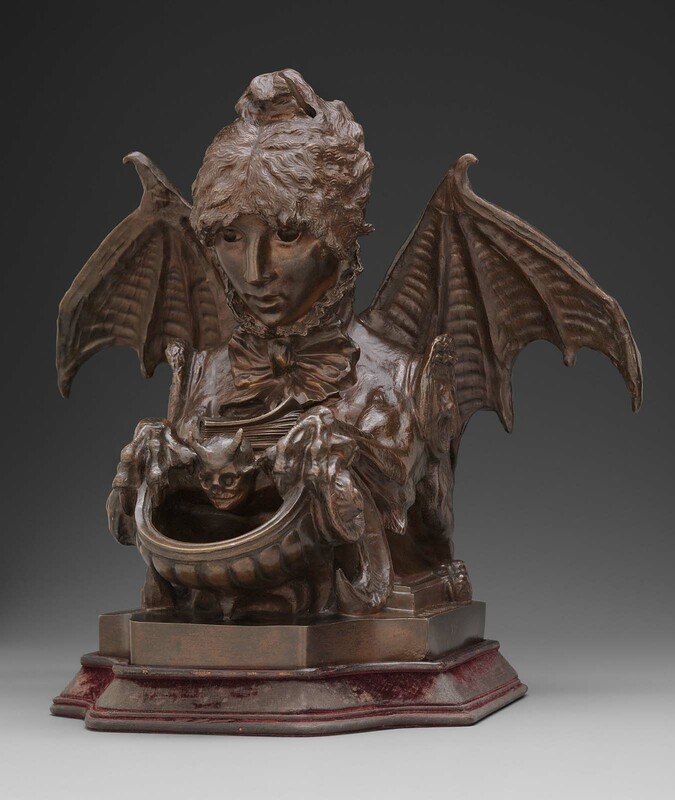 Depicted with bat’s wings, and griffon’s tail, a horned skull supporting inkwell. Her profession as actress depicted by Tragic and Comic masks as epaulettes on her shoulders. 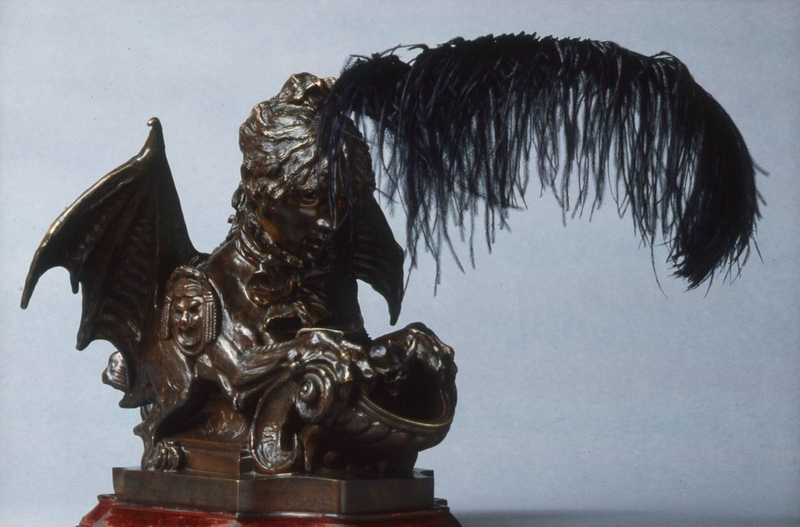 Celebrated actress Sarah Bernhardt was also a sculptor, and this bronze inkwell is a self-portrait. 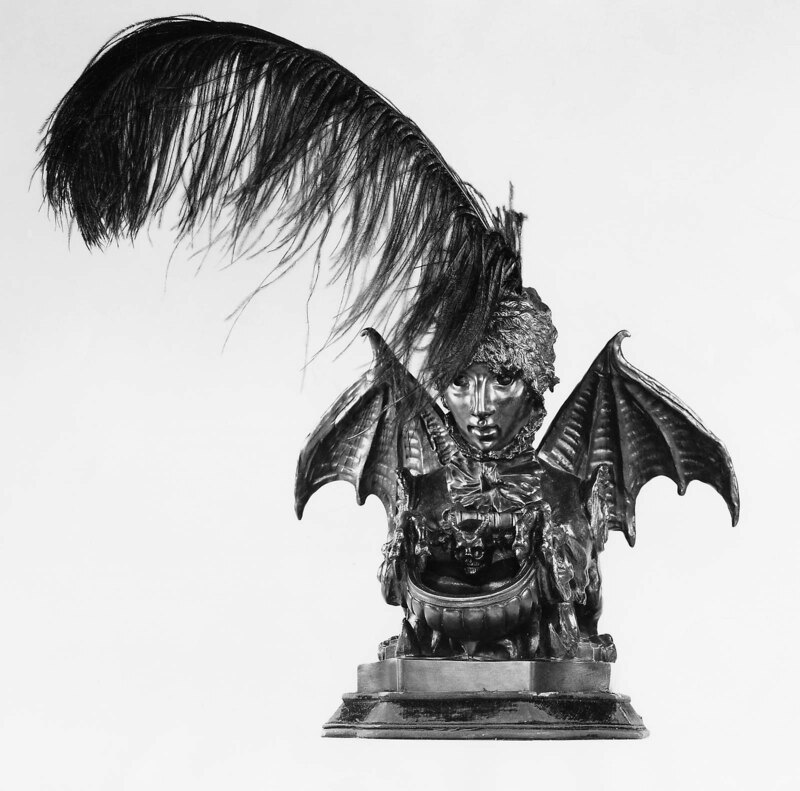 In it, the body of a griffon, wings of a bat, and tail of a fish are combined into a mysterious image of the artist as a sphinx-a metaphor for her ability to transform herself, both on stage and off. The fantastic combination of natural forms is related to contemporary Art Nouveau jewelry and ornamentation as well as to the imagery and techniques of sixteenth-century Mannerist bronzes. As suggested by Judith Applegate, MFA Bulletin 73, no. 369 (1975): 37, the MFA inkwell may be the third cast made, exhibited in New York in 1880. 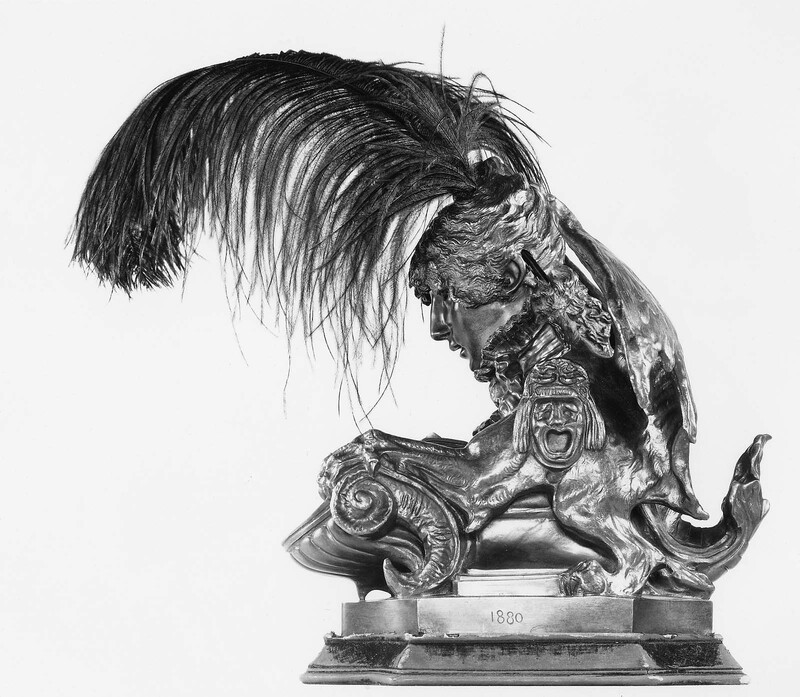 See "Sarah Bernhardt Souvenir, Including The Authorized Catalogue of Her Paintings and Sculpture" (New York, 1880), cat. no. 18. In a letter to the MFA (October 9, 1973), Shepherd Gallery indicated that the inkwell was purchased "from an importer on Long Island who gave us no significant provenance on the piece."